“Of all the paths you take in life, make sure a few of them are dirt”. For those who want to escape and explore, ride the tarmac roads and lanes until your intrigue is sparked by a path, lane or trail. The Rove is the bike to keep on going no matter the type of path. With “Road plus” tyres giving the same outside diameter as 700c but with a fat 650b wheel, grip and comfort are optimised without losing rolling speed. Internal Headset - Bearing cups are actually pressed into the frame and are easily removable. An internal headset also reduces stack height, so the height of the stem and bars are more adjustable, giving the rider the best fit possible. Tapered Head Tube - More girth at the bottom of the head tube better distributes shock force, prolonging the bearing life of the headset itself and eliminating brake shudder, while providing confident steering performance. The inherent strength of its triangular design also means a stronger steering position and improved balance, giving the rider more control in rough terrain. A zero-stack, tapered head tube also puts strength where the load is going—into the lower headset cup—maximizing bearing durability where it’s needed. Tubeless Compatible Rims - Tubeless rims allow for tires with more puncture resistance; the ability to run lower tire pressure, which provides better tire grip on the trail; lower rolling resistance; and weight savings over the traditional tube and tire systems. 12x142mm Axle - 12x142mm, 12x148 and 12x157 rear axle standards provide two major advantages to the Kona rider: the 12mm diameter of the rear axle provides the rear hub and frame with a stiff interface, while the 142/148/157mm outer diameter of the hub allows the wheel to be quickly and properly positioned in the frame before the rear axle is inserted. For 2017, you’ll see the 12x148 Boost standard in the mix. Boost spacing provides more tire clearance at the chainstay yoke, while the rear wheel is stiffer and more durable relative to a 12x142 thru-axle. 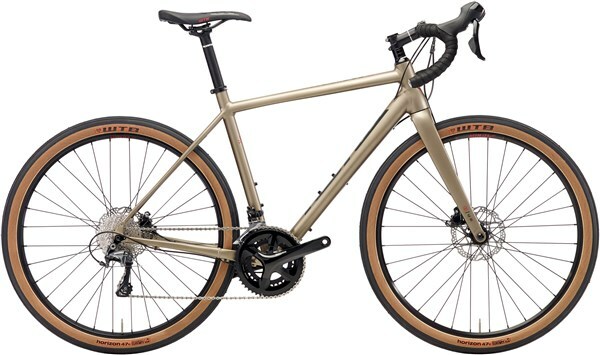 650b Wheels - 650b wheels and tires have a similar overall diameter to a traditional 700c gravel or commuting tire, but with a smaller diameter rim and a wider, taller tire. The extra air volume in this new generation of urban and mixed-surface tires means they can be run comfortably at lower pressures while still rolling quickly on a variety of surfaces. It’s the best of both worlds.